Generally speaking I’m not a massive fan of posting mixes recorded live at club nights – it’s just never possible to convey the atmosphere of the night to someone sitting listening at home and it’s inevitable that something won’t come off quite as clean as you would have liked to have done. 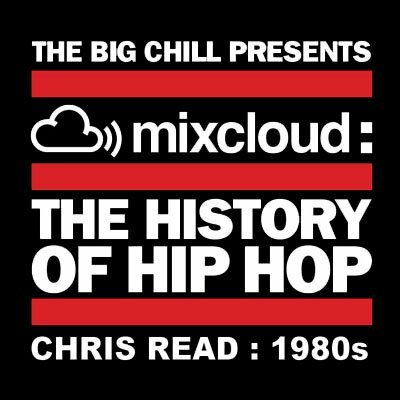 I feel much that way about this mix, but Mixcloud’s History of Hip Hop night at Big Chill last year was such a fun night that I felt like I had to post this despite the odd imperfection. Over the night, 6 DJs (Vadim, MK, Blakey, Disorda, Breakin Bread and I) each played one hour of music from a specific era of hip hop history. I handled the 80s element with plenty of classics, a few less well known cuts, some disco rap and a few relevant breaks. Dylan Sage on mic duties – the hosting is kept to a tasteful minimum and gives you a little feel for the crowd.